A tweet sent out by Alan Mendelevich, the guy who runs Windows cross-promotion network Adduplex, mentions some interesting things that have been turning up in his company's logs. By interesting things, we mean a number of new Nokia Lumia models that will be unwrapped at MWC 2013. One model he mentioned is the Nokia RM-914, which is expected to be the Nokia Lumia 520, a low-end entry level device that is expected to be equipped with a 4 inch Super Sensitive screen with a dual-core 1GHz processor under the hood, 512MB RAM, 8GB of native storage available (expandable with a microSD card), a rear-facing 5MP camera (no front-facing shooter) and of course, Windows Phone 8 installed. 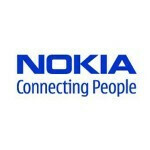 Also mentioned is the RM-885, which is expected to be the Nokia Lumia 720. This model has similar specs to the Lumia 520, but with a larger 4.3 inch screen and a 6MP camera on back. The last two handsets are rumored to be the phones codenamed the Laser and the Catwalk. Both are high-end handsets said to be coming to Verizon. The Catwalk is allegedly a lighter, thinner version of the Nokia Lumia 920 with a lightweight aluminum body. The Laser is rumored to be the Windows Phone flavored model with the 41MP PureView camera sensor. So now it looks like we have four new reasons to look forward to MWC 2013, which starts a week from Monday. When is MWC 2013 starting? nokia is doing a great job...we'll have really good devices to choose..like samsung gs4, moto x, htc one, and now this. this is really cool! Android is everywhere, Nokia's fine where they are, but they only need to refine WP8 further. Curious whether the PureView 41 Mp device gets to share the L9X0 numbering scheme, or does it get its own number (L10X0)? Either way, PureView 41 Mp on VZW could be a reason for me to consider a WP8 Nokia as my next phone. Props to Nokia if they release the new flagship in a reasonable timeframe. 828 would imply an improvement to the Symbian edition. If it is a WP8 version, it would probably be either an L930/L940 or L1010 (?). Maybe the VZW flagships get the L930 and L940 designations? Then again, Nokia is supposed to be telling all in a week from Monday. I am wondering if this is the start of the 'leaking' in the run-up to MWC? verizon 920 not catwalk because verizon need high end nokia..........and catwalk will announce in other event......!!! i didnt say catwalk = verizon 920 i said catwalk OR verizon 920 variant one of them will be announced in wmc. So it will be called Nokia Lumia laser right? When are they going to release the Nokia 420? Happy being a n8 holder.They are still supporting Symbian though it is declared as a dead os. ;.So long live Nokia & Symbian,. Always is a long time. Symbian is great, but can be outdated. Much like how we don't use Windows 98 anymore. can't wait to see those four new devices because it will be unique........!!! Ew if a high end Nokia is coming out for Verizon I am going to ditch Nokia.